Manufactured from 1959 to 1960. 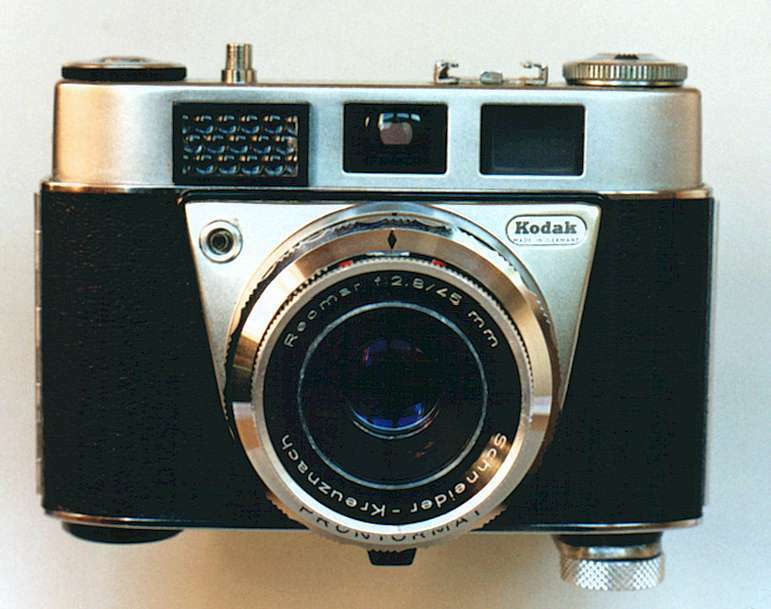 This model is similar in outline to the Retinette IA type 042, and this model was fitted with a Reomar 45mm f/2.8 lens in a Prontormat shutter. The Retinette IIA has a built-in coupled exposure meter that selects the shutter speed/aperture settings automatically. The camera also has a moving depth-of-field indicators like that on the Retinette II.